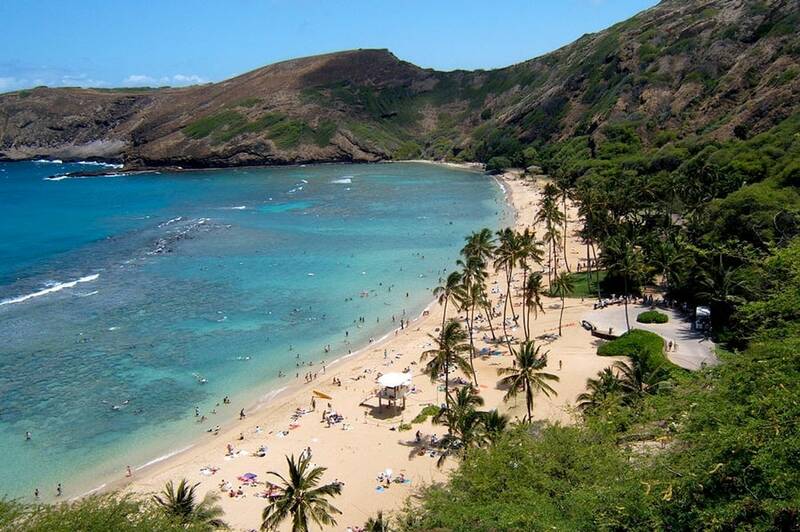 Oahu Hawaii is one of the most popular vacation destinations in the world, and if you get to visit this island paradise you’ll quickly see why. The third largest Hawaiian island is home to over 125 beaches, heaps of hikes, natural beauty galore, the bustling city life of Honolulu, and famous world-class surf. From waterfalls, beaches, and waves, to nightlife, crafty eats, and shopping, there’s no shortage of things to do in Oahu. 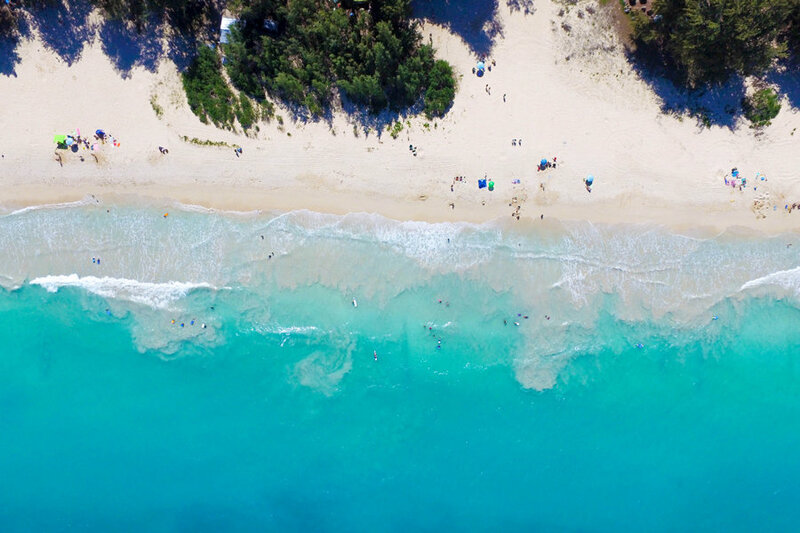 Treat yourself to the spectacle of a surf competition on the North Shore, go whale watching, skydiving, snorkeling, swimming in crystal-clear waters, or simply chillax and sip a Mai Tai on one of the many picture-perfect beaches. 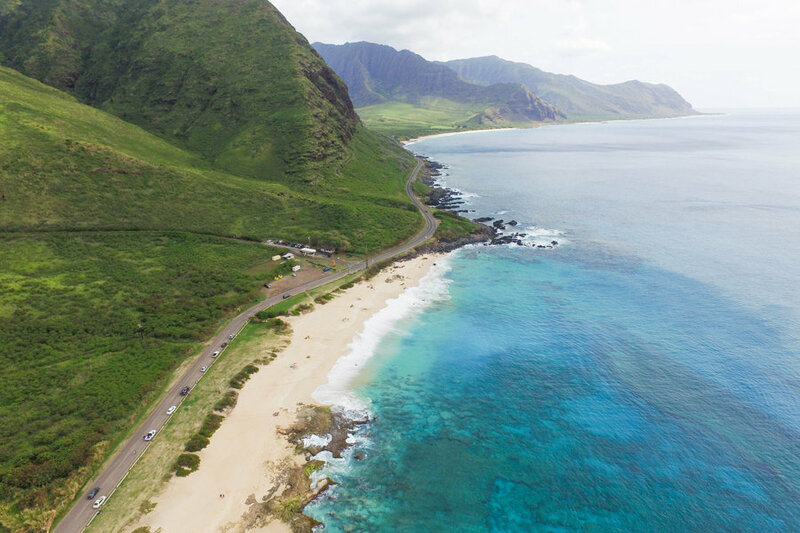 In our guide to Oahu, Hawaii, we give you the lowdown on everything you need to know for an awesome trip to this stunning island. An overview of the regions, weather, when to go, travel costs, Oahu surf, transportation, where to stay, and more. 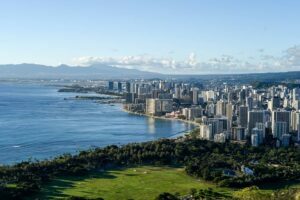 Honolulu is lined with sandy Hawaiian beaches and turquoise waters but make no mistake, the city is a buzzing urban metropolis. 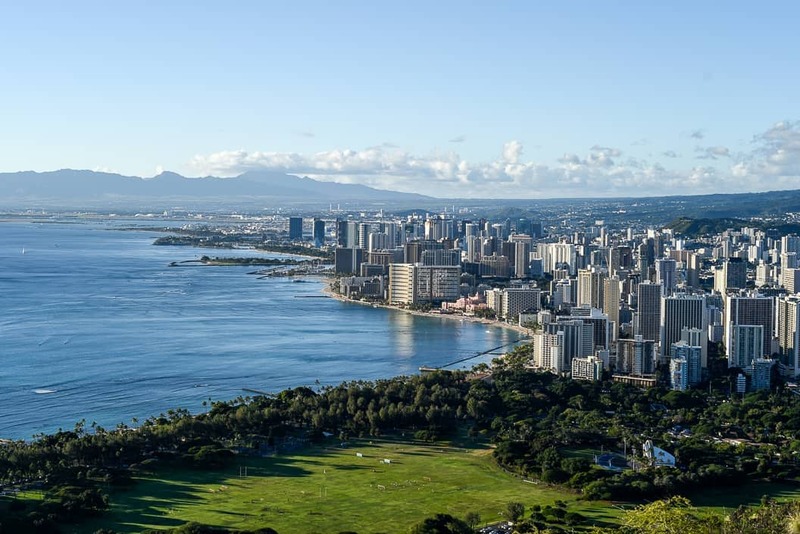 As the largest city in Hawaii and the state capital, Honolulu is a vibrant tropical city with everything from historical landmarks to fine dining to designer shopping. 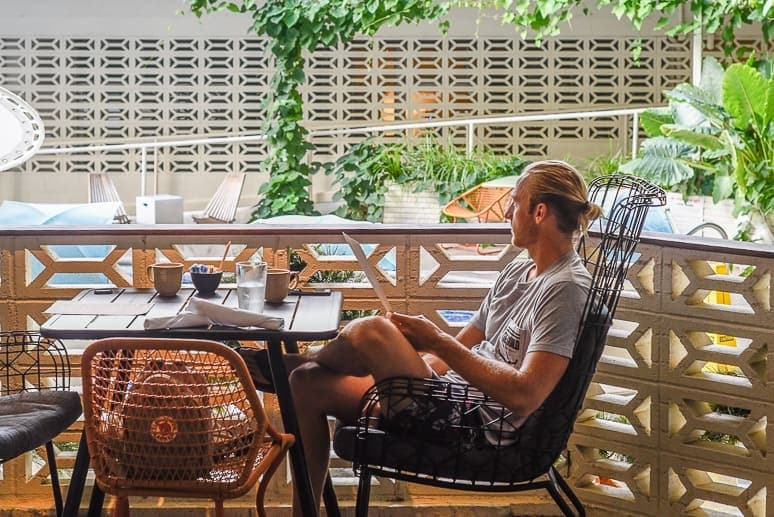 The city is home to the tourist-dense Waikiki, but there are also some hip neighborhoods where you can escape the tourist hustle and find local crafty food, drinks, and shops. Check out Chinatown and Kakaʻako for a more local vibe. 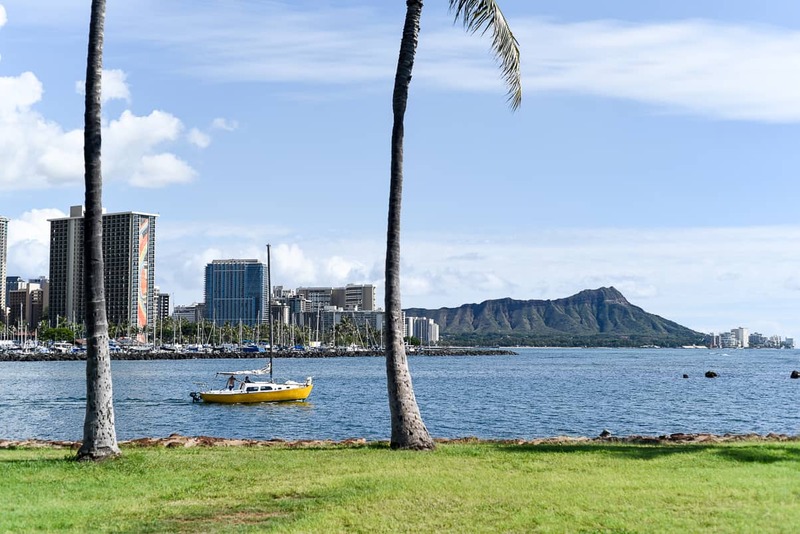 And check out our blog: Honolulu, Hawaii: A Day in The Aloha State’s Big City. Waikiki is a busy tourist mecca where you’ll find the majority of Oahu’s resorts. Waikiki is to Hawaii as The Strip is to Las Vegas. It’s loud, busy, and very touristy. If you’re looking for large luxury resorts, restaurants galore, shopping, and nightlife, Waikiki has it all. That being said, if you’re into nature, beaches, and having a lowkey trip, we recommend staying elsewhere on the island where you have easier access to the beautiful beaches, hikes, and chill lifestyle that Oahu has to offer. 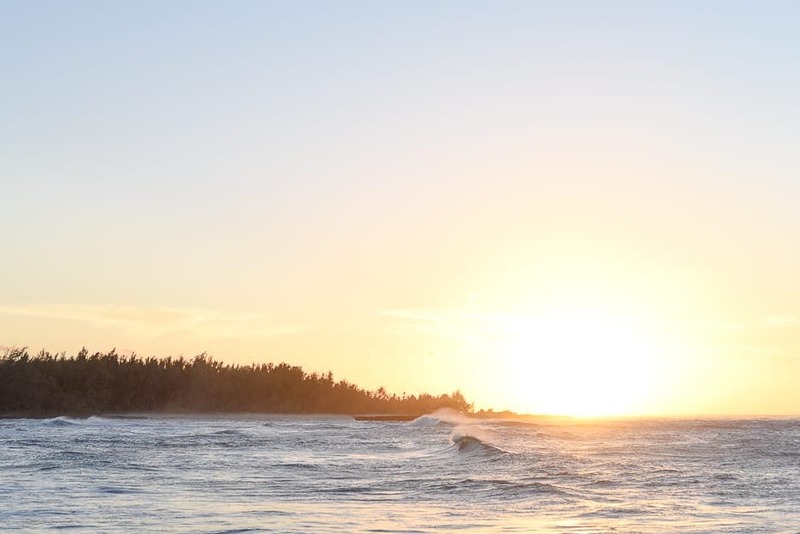 The laidback North Shore attracts surfers from around the globe with its 7-mile stretch of world-class surf breaks and Hawaiian country vibes. Famously known as The Seven Mile Miracle, the North Shore is legendary in the world of surfing and hosts some of the most impressive surf competitions in the world. 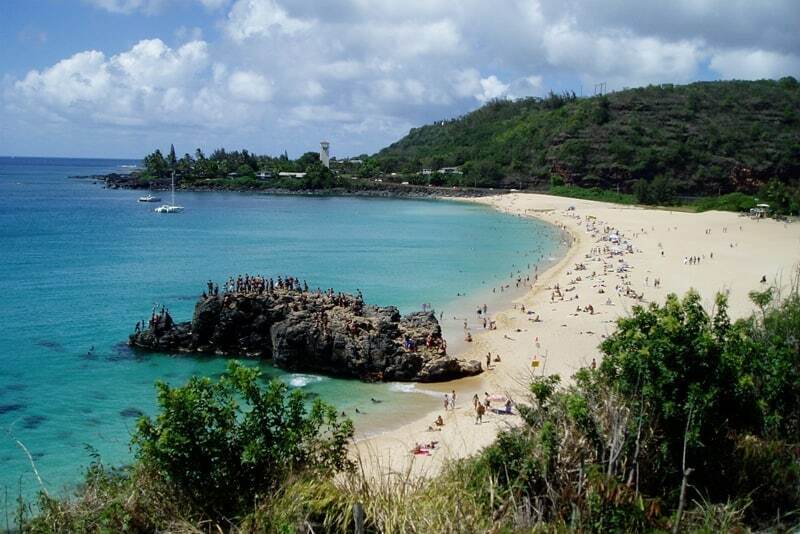 During the summer months when the surf subsides, the area is great for swimming, snorkeling, and sunbathing on the North Shore’s pristine beaches. Haleiwa is a charming little walkable surf town on the North Shore with local boutiques, surf shops, and restaurants. Check out our guide to North Shore, Oahu for our recommendations on where to eat, stay, and play. 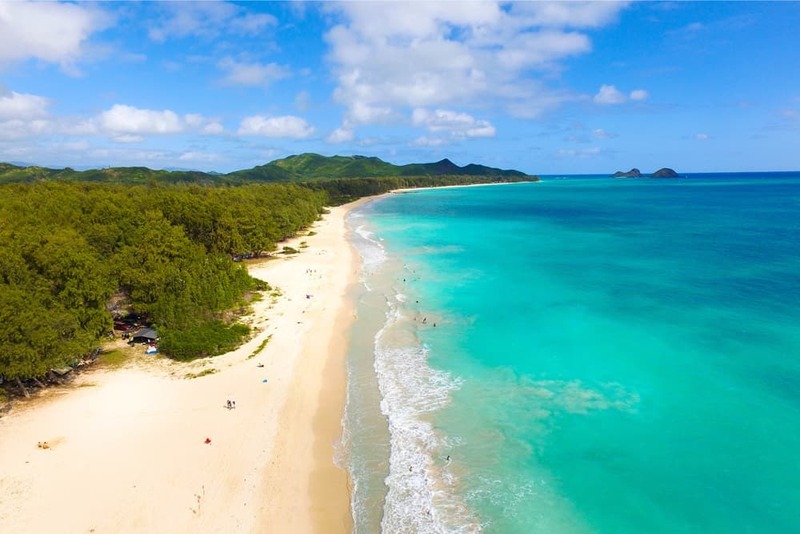 The Windward Coast on the east side of the island is home to beautiful lush scenery, serene beaches, and Kailua, Hawaii’s biggest beach town. With its many beaches and bays, the scenic 30-mile Windward Coast offers up some of the most stunning natural beauty in Hawaii. 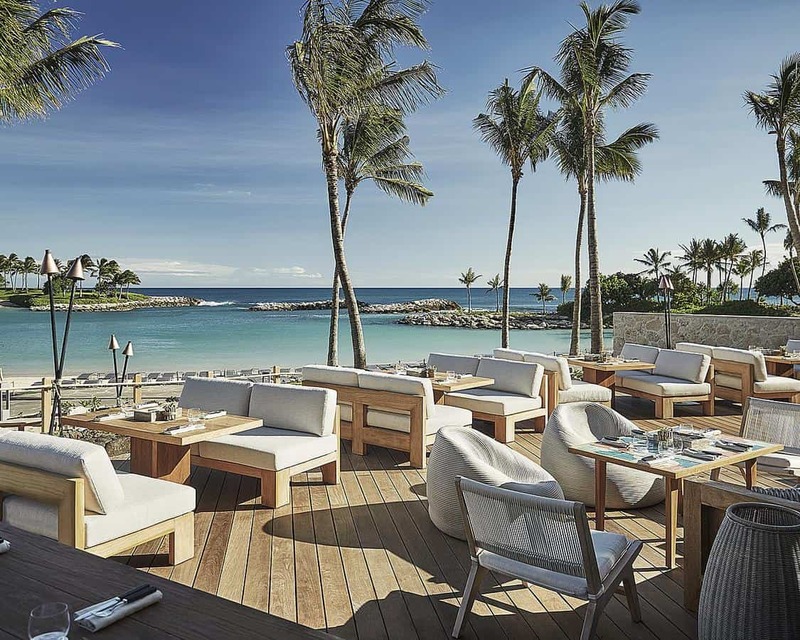 The Leeward Coast on Oahu’s westside is a sunny and dry region without much major tourism past the Ko Olina resort area (which is home to the luxurious Four Seasons Oahu and Aulani, A Disney Resort & Spa). 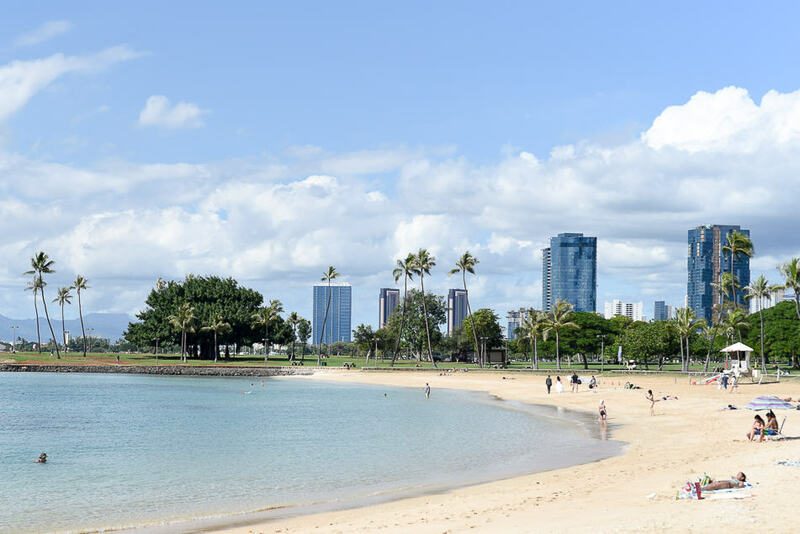 Just 30 miles from Waikiki, the region has opposite features on offer, with small local towns, beautiful off-the-beaten-path beaches and rural landscapes to explore. 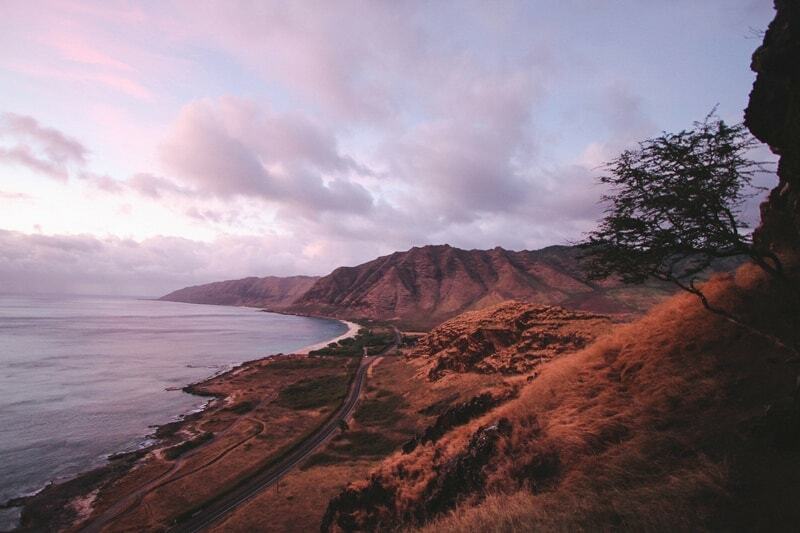 WEATHER • Oahu has a year-round warm tropical climate that’s pretty darn close to perfection (in our humble opinion). Oahu’s average high temperature ranges from the low to high 80s Fahrenheit (around 27 – 31° C) with an average humidity at around 64%. The coolest months – at a lovely 81 F (27° C) – are January and February. The hottest months are July, August, and September with an average of 88 F (31° C). At nighttime, the temp is usually about 10°F cooler. Hawaii technically has only two seasons, both of them warm and tropical. The summer (Apr-Oct) is the dry season, and the winter (Nov-Mar) brings the rainy season. It can rain any time of year, but the winter months are considerably wetter and windier. In some areas of the Hawaiian Islands, it can rain frequently during the winter months, but usually no longer than three days straight in one particular spot. Despite the rain, the high tourist season actually falls during Hawaii’s winter months and the low season during parts of the summer. Hawaii is full of microclimates which means the climate and temperature can range drastically depending on where you are on the island. Each island in Hawaii has a “leeward side” (the side sheltered from the wind) and a “windward side” (the side that gets the wind’s full force). The leeward sides (the west and south) are typically dryer and more arid, while the windward sides (east and north) are generally lusher because they get more rain. If it’s raining on the windward side, a good plan is to search for sunshine on the leeward side. TIPPING • If you’re not from the US you probably have a very different tip system so we’ll break down a few basics for you. Unlike other countries, the minimum wage for “tipped employees” in the US can be incredibly low (as low as $2.13 an hour), so they make the vast majority of their income from tips. Also unlike in most of the rest of the world, the total cost of table service is almost never included in the bill, leaving it up to you to do the right thing and leave a decent tip on your own accord. There are a couple situations where gratuity is already added to the bill—typically when you have a table of six or more guests, and some restaurants in highly touristed areas have started to add gratuity to the bill due to being stiffed by (ahem) travelers who might not know the tipping system. Usually, a good server will let you know if the tip is already on the bill, but you can also check yourself, as your bill will say “Gratuity” or “Service Charge” with an amount next to it. If an amount is included as a “Gratuity” or “Service Charge,” additional tipping is not required. At all sit-down restaurants with table service, the norm is to tip 15 – 25% of the total bill. That being said, if you had good service, tip at least 20%. You’re not expected to tip at fast food restaurants or when you order at a counter (like at a coffee shop), but most coffee shops will have a little tip jar and it’s nice to give a little something. At bars, depending on the situation, it’s customary to tip $1 per drink, or 15 – 20% of the total bill. For taxis, tip 10-15%. For valet parking, $2 – $5. And for a spa treatment or hairdresser, 10 – 20%. Check out this detailed guide or this article for more detailed information about tipping. STAYING CONNECTED • Always double check, but pretty much every hotel, vacation rental, and hostel will have free wifi included in your accommodation. Many coffee shops and public places will also have free wifi available. If you have a phone plan with a major carrier in the US, you should be able to use it just like back home. If you don’t have a US mobile plan, you can pick up a pre-paid SIM card for your trip, as long as your phone is “unlocked,” meaning that it’s not tied to a certain carrier’s network and can work with more than one service provider. T-Mobile offers a tourist plan that includes 3 weeks of talk, text, and data for $30. There are multiple T-Mobile locations in Oahu. If you’re in Waikiki, the closest T-Mobile store is located at the large shopping mall, The Ala Moana Center. GOOD TO KNOW • If you’re traveling with a surfboard bag from the US, Alaskan Airlines has one of the best surfboard bag policies. Alaskan charges their standard checked baggage fee which is $25 per bag. Check out their policy and other top airlines for board bag fees in our Guide to Surfboard Bag Fees. The best time of year to go to Oahu depends on where you’re going and what you’re looking for. 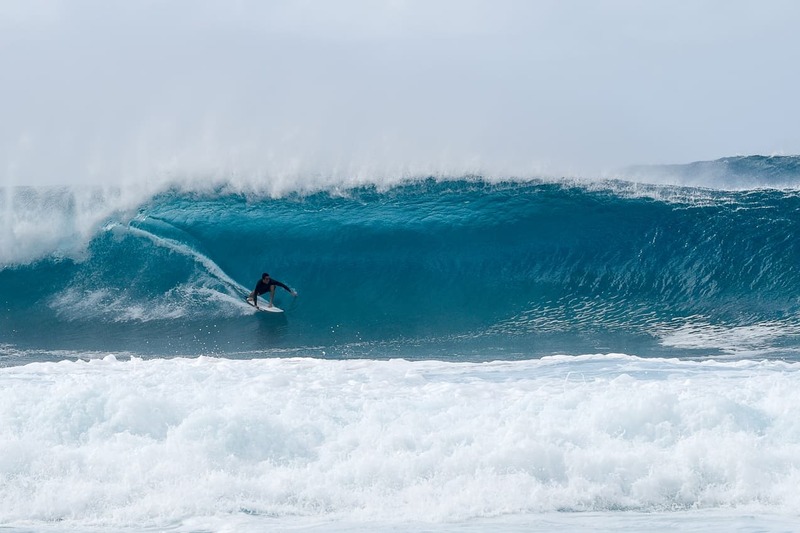 For example, if you’re looking to surf the North Shore, you should go in the fall or winter months (October – April) because in the summer the North Shore is flat as a lake. Below we’ve broken down different tourist seasons, as well as some insights on the best times to go to different areas. While tourism runs high year-round, even Hawaii has peak seasons when prices increase along with the number of visitors. Like any travel destination, you’ll find fewer crowds and lower prices if you travel in the off-season or shoulder season. Ironically, the peak seasons in Oahu don’t actually coincide with the best weather in Oahu. The peak seasons in Oahu are actually when the weather is bad in other places! The high season in Oahu (when prices are highest and resorts are often booked to capacity) is generally from mid-December through March or mid-April. The last two weeks of December over the holidays are an especially busy (and expensive) time for travel in Hawaii. If you’re planning a trip over the holidays, make your reservations early, expect more crowds, and be prepared to pay top dollar for airfare, car rentals, and accommodation. Mid-June to late August is also a busy time, as kids are out of school and families are taking summer vacations. 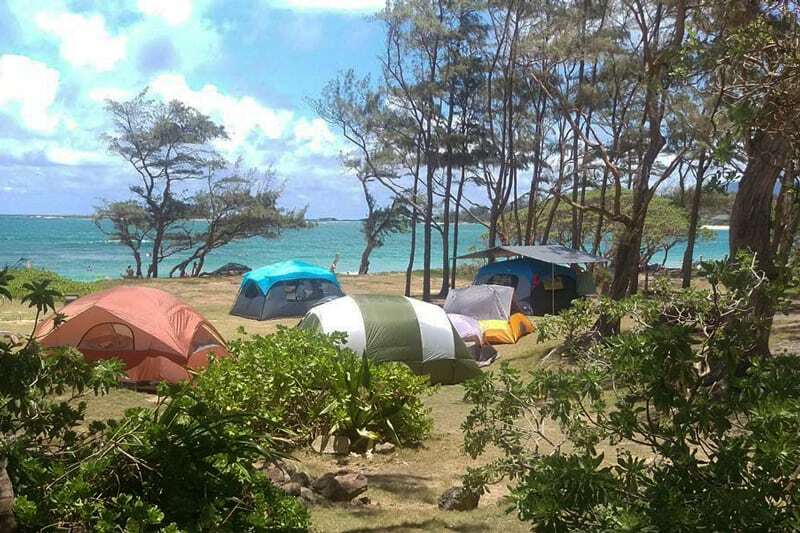 Between the last week of April and early May, Hawaii is especially busy with Japanese tourists off for a series of holidays in Japan called Golden Week. Be sure to book ahead (especially in Waikiki) during this time. The spring (mid-April to mid-June) and fall (September to mid-December) are the offseasons in Oahu and generally really great times to visit. You’ll find the best rates, fewer crowds, and also some of the best weather of the year. 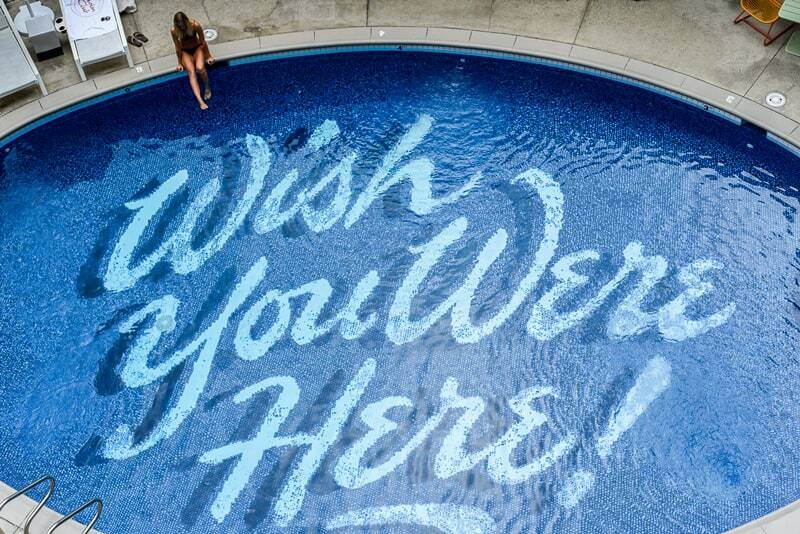 If you want to go to the North Shore to swim, dive, and soak up the sun, summer is the best time for your trip. Summer is also a great time for (non-surfing) families on the North Shore because the water is tame and perfect for beach days along the stunning Pacific. If you’re going to the North Shore to surf, the fall is a great time (October to November) to visit, especially if you’re an intermediate surfer. For advanced surfers gunning for the biggest surf, the biggest swells will typically roll through between December and February. Generally speaking, the winter months on the North Shore will be the rainiest and windiest of the year. The south and southwest coasts of Oahu are on the leeward side of the island so they get the most sunshine year round. Anytime is a great time to visit Honolulu and the South Shore, but for the best prices, you’ll want to avoid the peak tourist seasons outlined above. If you would like to surf on your trip, swells hit the south in the summer months (May – October), but note that if you’re just learning to surf then anytime is fine. 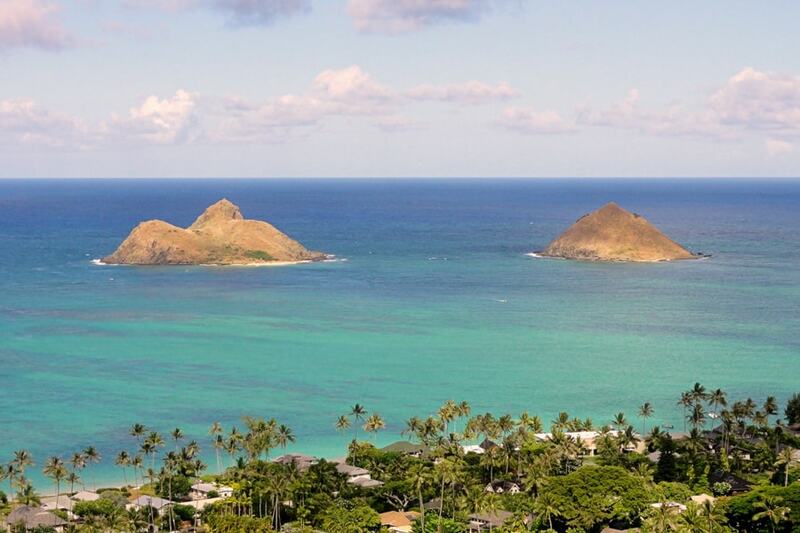 The best time to visit Kailua and the east side of Oahu (leeward side) is during the spring, fall, or summer months. While the weather is warm year round like the rest of Oahu, this side of the island gets much more rain and wind during the winter months. **If whale watching is on your agenda, Humpback whales migrate through Hawaiian waters in the winter and spring months, from December through May. Fun fact: Hawaii is Earth’s most isolated landmass. Add that to being one of the most famous vacation spots in the world and you get a not-so-budget-friendly travel destination. But if you’re working with a lower budget, don’t despair! There are definitely still ways to travel to Hawaii on a budget, and we’ll give some tips and budget recommendations for accommodation. Below we’ve outlined some rough costs for a trip to Hawaii based on low, mid-range, and luxury budgets. Further along, we’ll go more into depth on costs in our sections on transportation, shelter, and food. MID-RANGE • If you have a mid-range budget, you can be living well for around $110 – $300 per day. If you’re traveling with a group, you’ll get the most bang for your buck by splitting the cost of a vacation rental. LUXURY • If money ain’t no thang then you’ll be living large from around $300 and up. 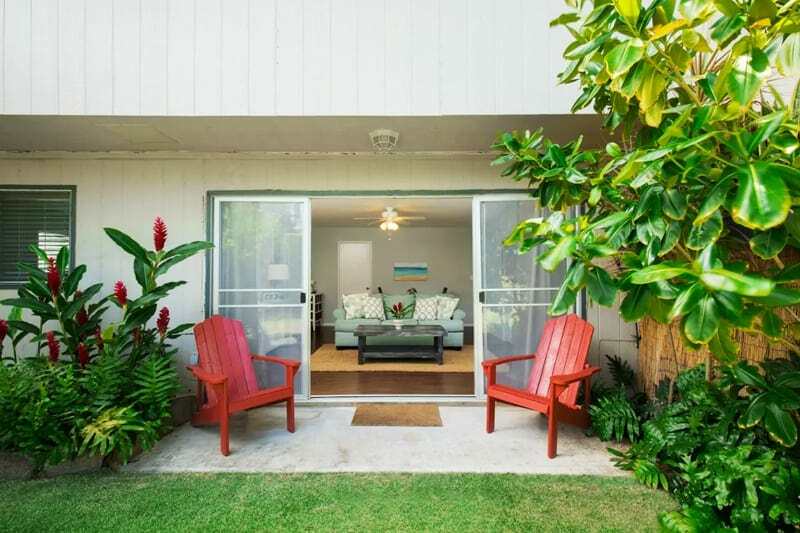 Oahu has lots of stunning beachfront vacation rentals so do yourself a favor and stay at one! TYPES OF SURF BREAKS • Reef breaks, sand bottom beach breaks, a few points, and more reef breaks. The island of Oahu is surrounded by quality reefs for surfing. There are occasional gaps in the reef where you can find patches of sand, but for the most part, when surfing Oahu you can count on surfing over varying degrees of shallow coral or slabby rock bottom reefs. For an overview of the most well-known surf breaks on Oahu, check out our guide to Oahu Surf Spots. LEVEL OF DIFFICULTY • Beginner to experts only. 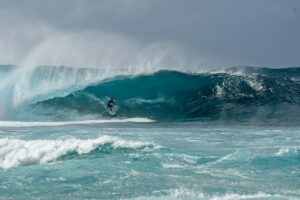 Oahu, Hawaii offers waves for all levels, from small rolling waves which are perfect for a beginner to double overhead stomach wrenching barrels that are reserved for high-level experts only. SEASON AND SWELL INFO • Oahu has year-round surf and two main surf regions; the North Shore and the South Shore. Depending on where you plan to go you’ll either be looking for predominantly NW swells if headed to the North Shore or SW swells if headed to the South Shore. The North Shore of Oahu comes to life around September with early season swells through April with late season swells. The peak season is fall and winter from October through March. The South Shore, on the other hand, works on an opposite schedule. SW swells are typically on offer from May through October. NORTH SHORE SURF SEASON • October through April is North Shore Oahu’s main surf season, with the biggest and gnarliest surf rolling through from December through February. The beaches of North Shore, Oahu thrive on mid to long period NW swells and easterly trade winds. If the winds are onshore here, check the West Side for possible offshores. 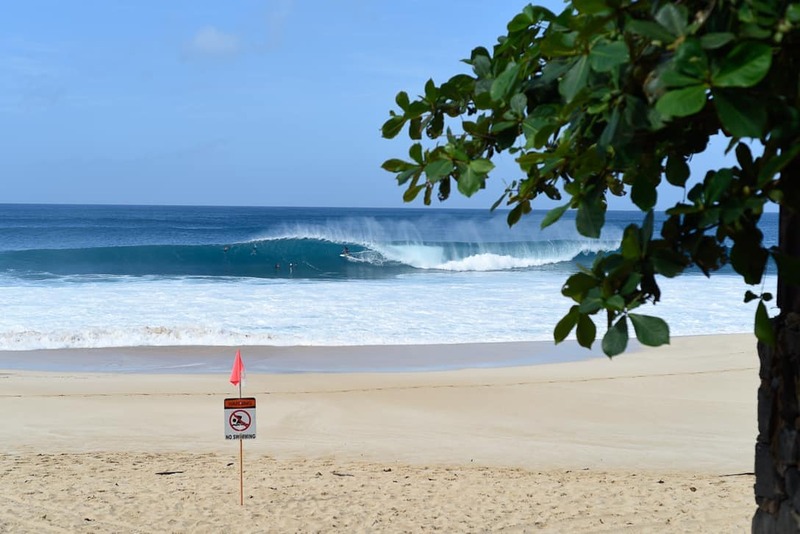 SOUTH SHORE SURF SEASON • May through October is South Shore Oahu’s main surf season. During the peak season of July through September, commonly known beginner breaks like Waikiki can produce double overhead waves at times. WEST SIDE SURF SEASON • The surf season on the “Leeward” side mostly coincides with the North Shore. When a big NW swell maxes out the North Shore, the West Side can be significantly smaller, more manageable, and really fun. But it all depends on the swell direction because it can easily be just as big if not bigger. The West Side is home to some famous Big Wave spots like Makaha and also known to come along with some extra heavy localism, so be cool. And finally, if the wind is blowing onshore on the North Shore, the West Side could be offshore. EAST SIDE SURF SEASON • The surf season on the “Windward” side of the island is mainly winter. If there is some swell with easterly direction to it, then it might be worth a check. Look out for East, NE, or SE swells and big NW swells that have the size and direction to wrap around the point. CROWDS • Moderate to packed. Surfing is a cornerstone of Hawaiian culture and Oahu is the mecca of surf destinations. Depending on the break, time of year and surf conditions there could be anywhere from 4 to 84 other surfers in the lineup. It really varies depending on a lot of factors, but the average crowd is typically around 20 – 30. 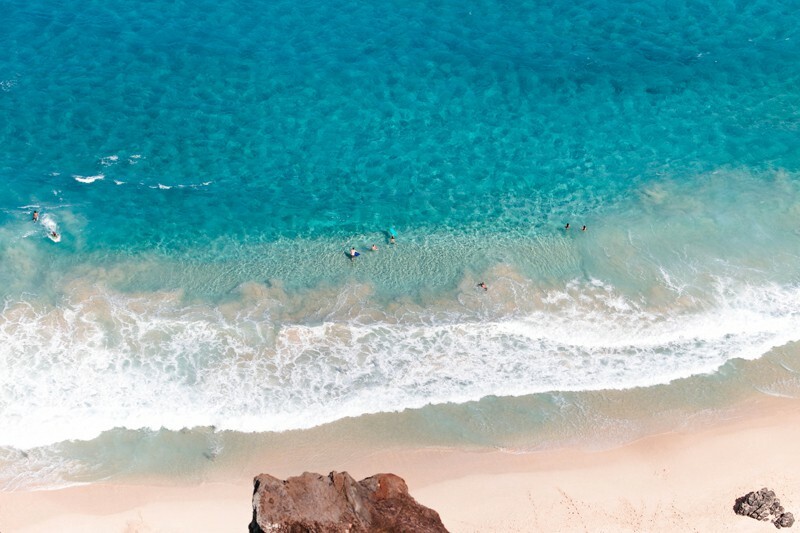 WATER TEMP • Not too hot, not even close to too cold, the ocean temperature in Oahu ranges from a cool 72 degrees to a warm 81 degrees Fahrenheit (22 – 27 °C). Depending on your warmth preference you’ll probably find yourself in boardshorts or bikinis most of the time and will never need more than a 2mm wetsuit top or spring suit. GOOD TO KNOW • During the peak season it’s not always huge and unmanageable for the average surfer. A beginning or intermediate surfer can find plenty of fun shoulder to head high plus days before or after a big swell hits. However, practice major caution if you’re planning to paddle out on a building swell. There is no shortage of horror stories about the surfer who paddled out thinking it was a manageable overhead day, and then the swell doubles or triples in size in only 30-40 minutes and they think they might die trying to get back into shore. 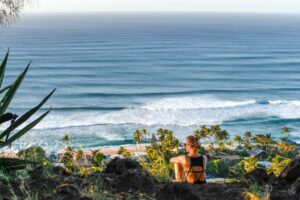 For an overview of the most well-known surf breaks on Oahu, check out our guide to Oahu Surf Spots. Your transportation options in Oahu are straightforward. You can rent a car, take the bus, or hire a taxi. That being said, the best way to get around Oahu is by car. 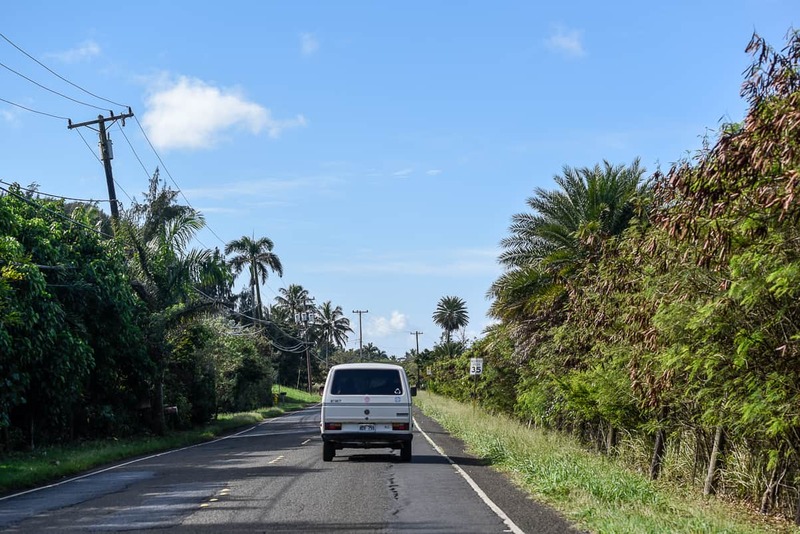 Even though Oahu is a relatively small island, if you want to explore on your own terms and/or you’re traveling with surfboards, renting a car is the way to go. Unless you plan to stay put in one area, a car is almost a necessity. 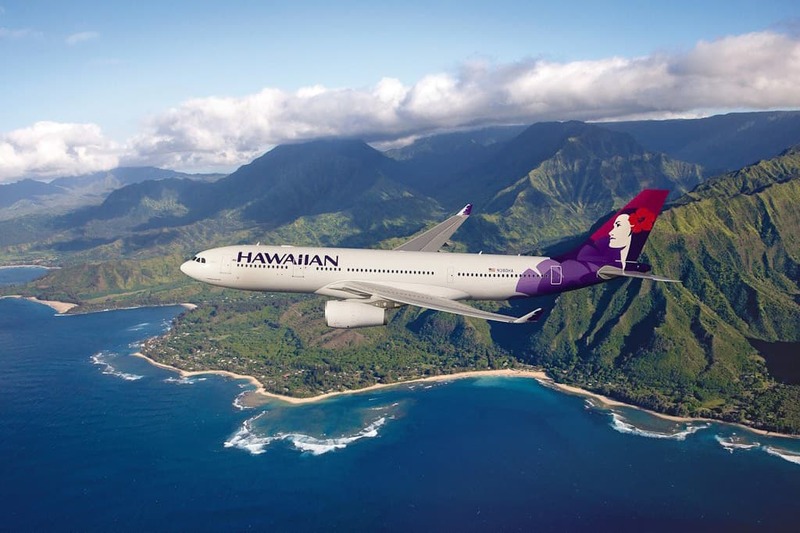 Honolulu International Airport (HNL) has some of the best car rental rates in Hawaii, so just make a reservation for a car at the airport for when you arrive. If you’re traveling with two or more people it’s well worth it, even if you’re on a budget. There can be some bad traffic (especially in and around Honolulu) at peak hours, so try to drive between 9 am and 3 pm, or after 6 pm to avoid the worst of it. NOTE • While we always recommend that you never leave valuables in your car, this especially goes for Oahu. Unfortunately, there are frequent car break-ins, so always be sure to take everything out of your car. Cars are broken into even in highly populated beach parking areas such as Sunset Beach on the North Shore. And if you think you’re being sly by hiding your purse under your car seat, think again—we’ve seen evidence of thieves looking especially for that. Also be extra careful about parking your car on the far west side of the island, past Makaha. There are frequent break-ins and whole cars have actually been stolen there. So it kinda goes without saying that you’ll want to make sure you have some good insurance for your rental car. But just in case you need clarification: get insurance for your rental car. And not to alarm you or anything, Oahu is a very friendly place… just, unfortunately, there is some petty crime targeting visitors. As long as you avoid leaving valuables in your car you should be fine. Honolulu’s bus transit system, appropriately named TheBus, is the only mass transit system to be honored twice by the American Public Transportation Association, the Oscars of mass transit. So it’s pretty good as far as buses go. 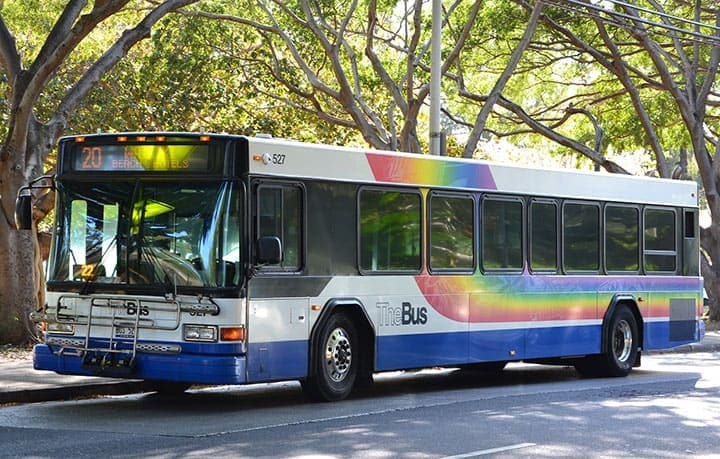 Most Oahu buses arrive at the bus stops every 10 to 30 minutes, but some buses only pass by once an hour on Sundays, holiday, and less traveled areas. A majority of Oahu buses on different island routes travel through Waikiki (on Kuhio Ave), Ala Moana Mall, and/or downtown Honolulu (all which are very close to each other). You can get TheBus routes and timetables here. If you’re planning on mostly staying in one area, like the North Shore, you can definitely get by on taking the bus around town. It will just take some more planning and time to get around. Exact change is required (Bus operators do not carry change and are not allowed to feed the fare box for you). Included transfers were discontinued in 10/17, so riders who need to transfer may purchase a 1-Day Pass on the bus good for rides all day. Baggage that can be stored under a passenger’s seat or on a passenger’s lap, that will not protrude to another seat or otherwise interfere with other passengers, will be admitted at no charge. 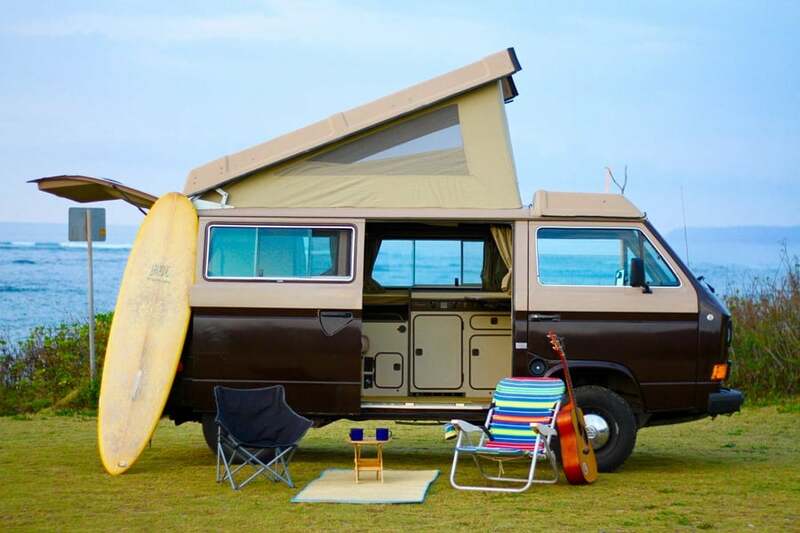 TheBus website states that a “Soft boogie board without skeg or fin, dried and washed clean of sand and other debris” is acceptable up to a maximum of 48’’ in length, but surfboards are not mentioned. Taxis in Oahu are expensive, and you’ll most likely have to call ahead. Rather than hailing a cab, taxi stands and calling taxis are the norm in Hawaii. You can find taxi stands at most major shopping centers, in the business district, and at the airport. Honolulu also has Uber available. All types of Ubers are allowed to drop off at the airport, but only certain types of cars are allowed to do airport pickups. Fares are fixed, so regardless of the cab company or the traffic, expect to pay around $30 (not including a 10 to 15 percent tip) to go from the airport to Waikiki or downtown, about $60 to go from the airport to Kailua, and about $80 to go from the airport to the North Shore. 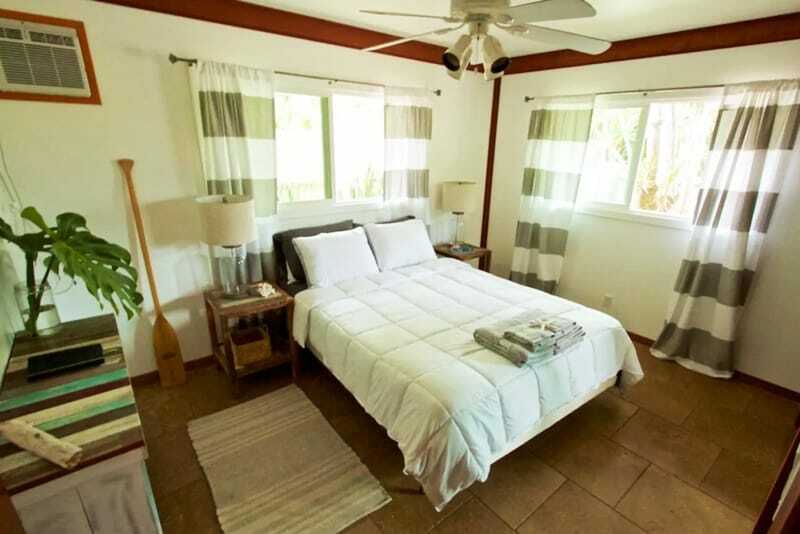 Being the popular vacation destination that it is, Oahu has a diverse range of options when it comes to accommodation. Something a bit unique to the island is that there aren’t many hotel and resort options in the smaller areas like the North Shore or Kailua. Smaller towns have kept large hotels at bay to keep a tab on mass tourism and protect the areas from towering buildings interrupting the skyline (ahem, like Waikiki). 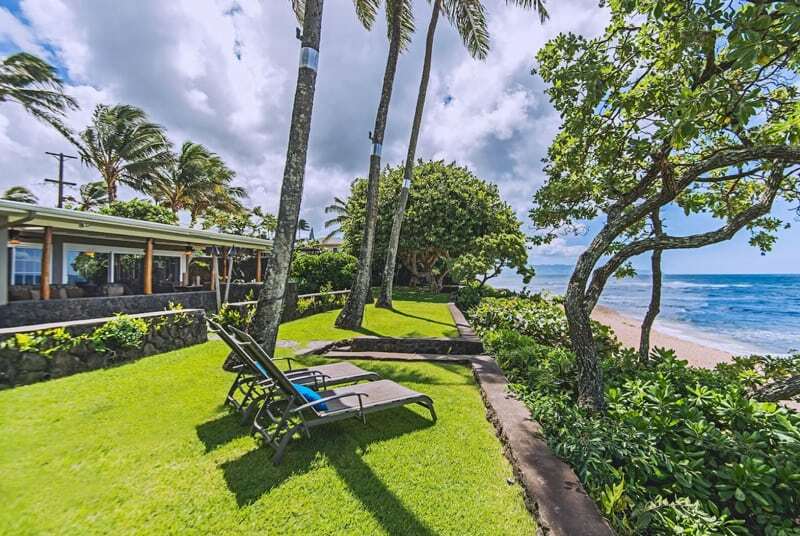 So while there are lots of hotels and resorts in Honolulu (and a couple on the southwest side), on the rest of the island your best bet is to rent a vacation rental through Airbnb, Home Away, or VRBO. You can find lots of great houses for rent, and things get especially fun if you have a big group or the funds to rent a place right on the beach. 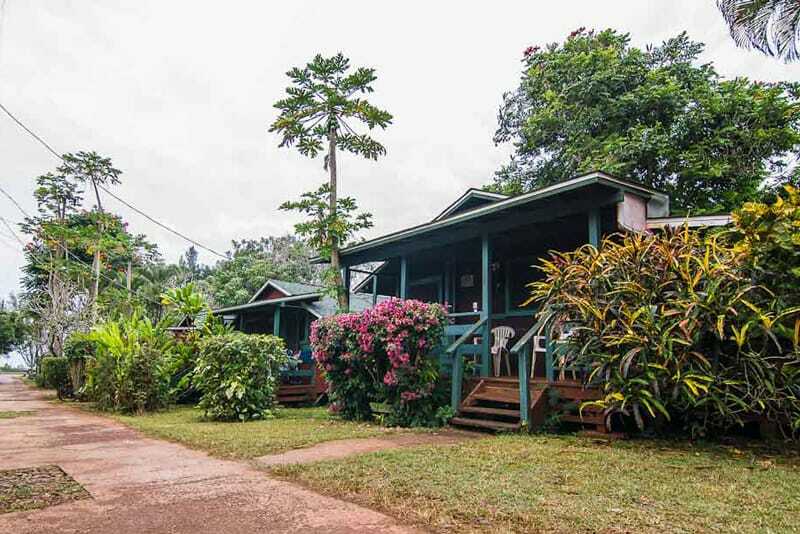 As with most things in Hawaii, the accommodation situation isn’t all that budget-friendly. If you’re traveling on a low budget your best bet is to camp, rent a room on Airbnb, or there’s also a couple hostel options available. In the budget range, you can expect to pay $10 – $50 a night. For a mid-range budget, you’ll pay around $50 – $150 per night. 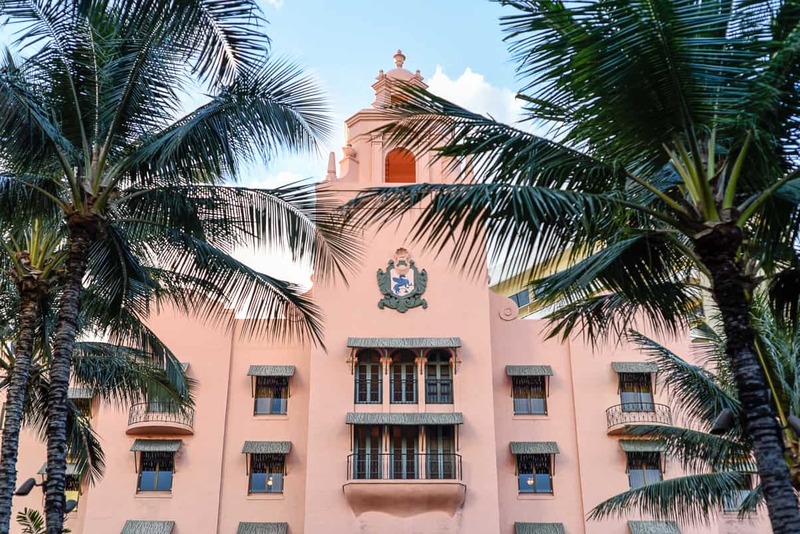 In the luxury realm (over $150 per night) there are plenty of super-luxe hotels to choose from on Oahu. 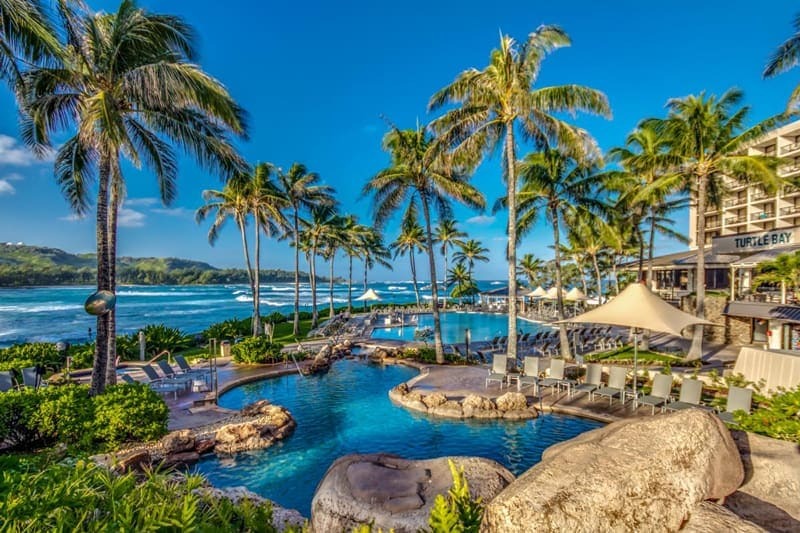 As we mentioned, most large resorts are in Honolulu, but there are a few in other parts of the island as well, including on the southwest side of the island (Ko Olina area). One thing to keep in mind is that all of the hotels in Oahu add a hefty tax, plus a nightly resort fee, so keep that in mind when looking at pricing. 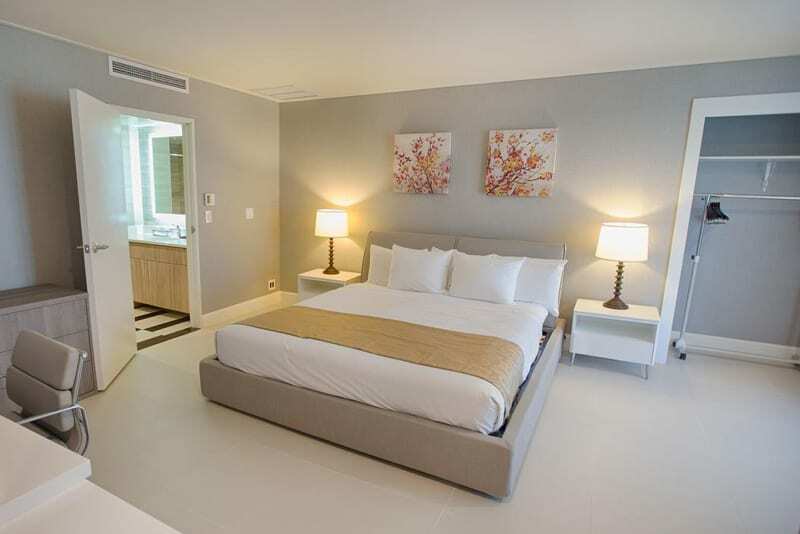 If you want to go the vacation rental route and forgo hotel amenities, there are lots of gorgeous luxury homes for rent all over the island. We’ve listed a few recommendations below for every budget. And check out our Guide to the North Shore for a more extensive list of shelter recommendations for the North Shore. *If you don’t yet have an account with Airbnb, click here to sign up and get $40 towards your first trip! 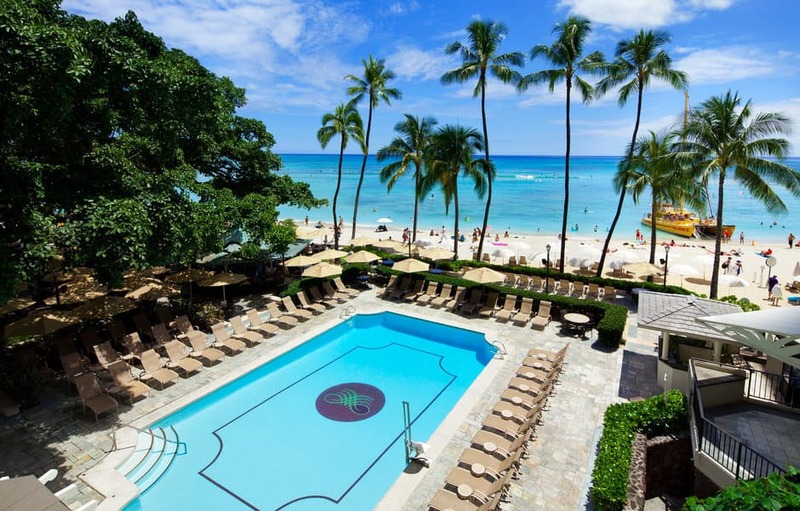 The Surfjack Hotel & Swim Club, Waikiki / From $186 (+ taxes and resort fee) per night / Read about our stay at the Surfjack here. Hawaii’s unique cuisine reflects the varied food history of immigration and settlement in the Hawaiian islands. 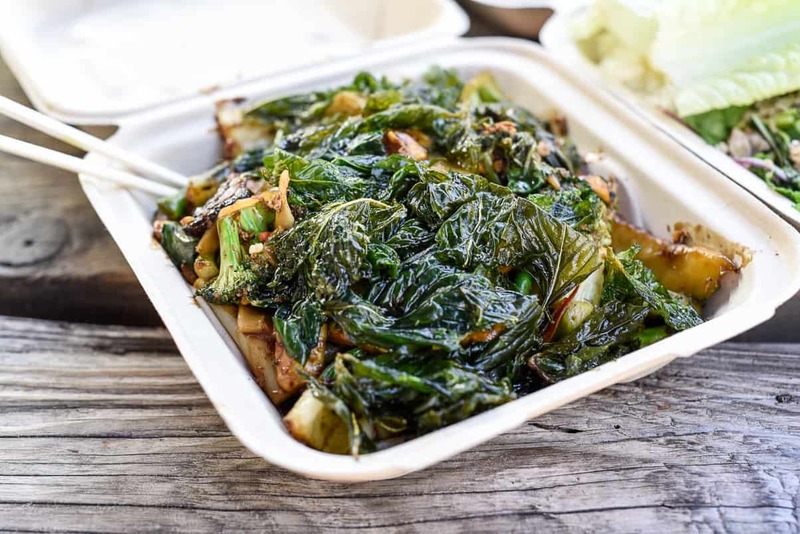 Some dishes from Polynesian and Native Hawaiian culture remain, but modern Hawaiian cuisine incorporates multiple styles of food created by a diverse range of cultures who have settled in Hawaii. Europeans and Americans arrived to Hawaii and introduced their cuisine in the late 1700s, and as pineapple and sugarcane plantations grew in the 1800s, so did the demand for labor. 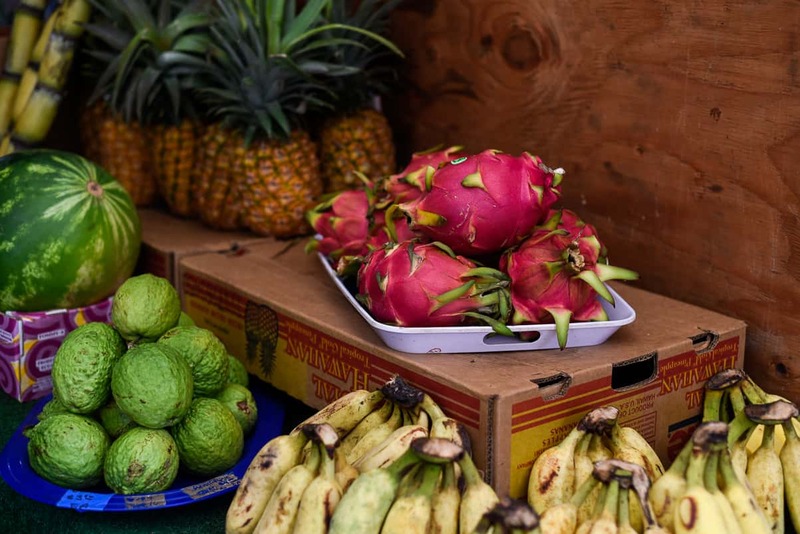 To meet the demand, many immigrant workers from China, Korea, Japan, the Philippines, Puerto Rico and Portugal arrived in Hawaii, introducing their native foods and influencing the region. Because of the range of influences, Hawaiian food has become a true fusion, including everything from malasadas (Portuguese donuts), to the Japanese-influenced spam musubi (fried spam atop rice wrapped with seaweed, sushi-style), to the famous Kalua pig (a whole pig wrapped in banana leaves and slow-cooked in an underground oven). There’s also lots of great food from Southeast Asia, so great Thai and Vietnamese food abounds. 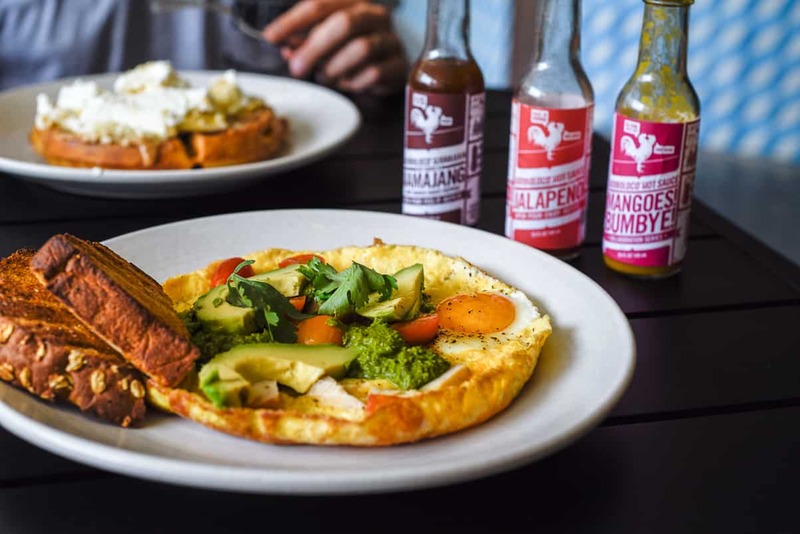 If your budget allows, there’s a lot of fantastic restaurants in Oahu, from Hawaiian to uber healthy, to Japanese and everything in between. Honolulu has had an influx of hip restaurants pop up the last several years, and while smaller areas like the North Shore and Kailua have fewer options, there’s always delicious food to be had. 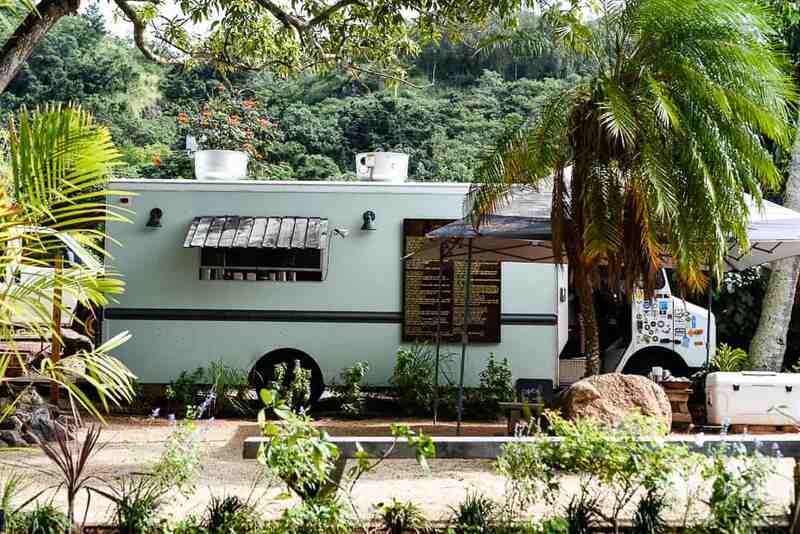 Food trucks are all over the island, and especially on the North Shore where there are multiple food truck parks with 5 – 10 food trucks in one place. 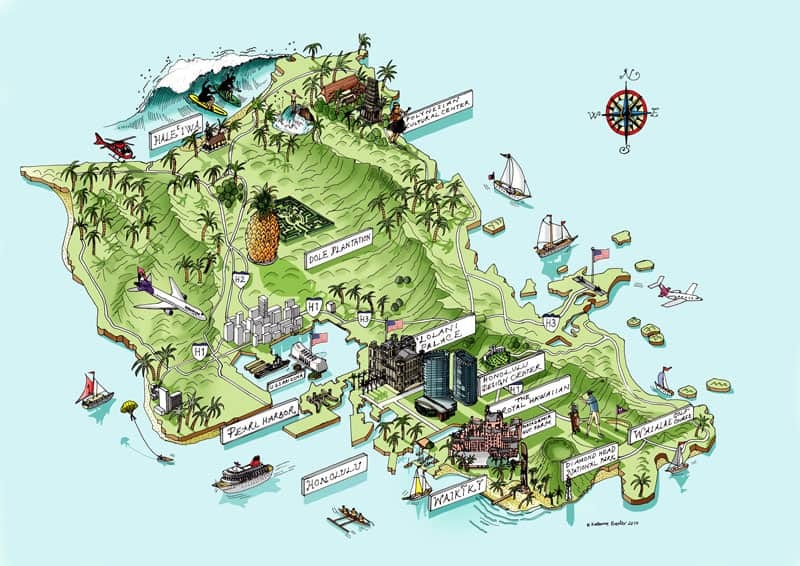 Check out our Guide to the North Shore for some of our top recommendations. Hawaiian Plate Lunch • A filling and typically cheap plate that can include many different types of Hawaiian dishes, but they are always flanked by mayonnaise-based macaroni salad and two scoops of white rice. Try Kalua pig, loco moco (hamburger patties topped with brown gravy and a fried egg), pork or chicken laulau (wrapped in taro leaves), pipikaula (dried beef), lomi salmon on the side, with a helping of poi (taro, cooked, pounded and thinned with water). Poke • Raw cubes of marinated fish or seafood. Kind of like a ceviche. There’s a ton of different options and they’re all delish. Manapua • Hawaii’s take on traditional Chinese bao. Baked or steamed pillowy buns filled with delicious stuff, in this case, sweet char siu pork. Shave Ice • It’s like a really finely-ground snow cone (but way better), topped with your choice of delicious tropical-flavored syrup. Spam dishes • Hawaii is really into spam, so don’t knock it till you’ve tried it and give it a whirl. Malasadas • Super fresh fried donuts covered in sugar, and optionally filled with deliciousness. Acai Bowls • Basically a thick smoothie made from acai berries topped with different toppings like granola, bananas, honey, and more. These are everywhere nowadays, but most likely Hawaii had them before your town did (unless you’re from Brazil). Ted’s Bakery Chocolate Haupia Cream Pie • Haupia is a traditional coconut-based dessert. So this pie is essentially a silky delicious coconut chocolate cream pie. Because most food (and items in general) needs to be shipped across the ocean, food in Hawaii is on the expensive side. And by that we mean, we’ve seen $8 for a gallon of milk. Of course, the sky’s the limit if you have the money to spend, but if you’re on a budget, you can expect to pay at least $10-15 per meal if you’re eating out. Some food trucks have big portions and are reasonably-priced, but if you’re on a super minimal budget, you can always cook store-bought basics like rice, pasta, etc. While you could go bare bones and survive on less, to be safe, we recommend budgeting at least $30 per day for food. TIP • If you’re a Costco member and you’re staying with several people (and you have access to a kitchen), we recommend stopping by Costco and stocking up on some food there. They have the best food prices around so it will save you from the super inflated prices at most grocery stores, especially on the North Shore. If you’re headed to the North Shore there’s a Costco on the way from the airport so you can stock up on the way to your place if the timing works. Any questions, tips, or recommendations? These are really the things that everyone needs to know before travel towards Oahu. Any recommendation for a personal surf/sherpa/ guide for Oahu? Hi Marcel- Thanks for reaching out! We don’t know any personal surf guides on Oahu, but many of the breaks are easily accessible and have cams, so if you have some surf experience you should be fine. If you’re looking for a surf coach/lesson, I’d reach out to a surf school or you can also find surf lessons/guides in Airbnb’s experiences. We also have an Oahu Travel Guide that includes lots of great info on surfing and traveling in Oahu. Aloha Eddie! Thanks for your feedback! We also have a guide to the North Shore with some local recommendations here: https://lushpalm.com/north-shore-oahu/ Have a wonderful trip to Oahu 🙂 Happy travels! PS, this yr vacation lands in mid April beach house Rocky point. HI TARA, great writing on the blog, I enjoyed it very much. Thanks, Tuesday! Happy you enjoyed it! Thanks for sharing snippets of your life on the North Shore. Sounds pretty awesome 🙂 . Have a great trip! Hi Tuesday! Aww, thanks so much for the kind words and thoughtful comment. That’s a lovely memory you shared and it’s awesome that you get to share the North Shore of Oahu with your daughter now too. Thanks for chipping in and helping to keep the beaches clean! Glad you love our site and we really appreciate your support! Mahalo. We’re out here right now, but we’ll likely head back to So Calif around the end of March, so we’ll just miss you! I sure do love Rocky Point though. 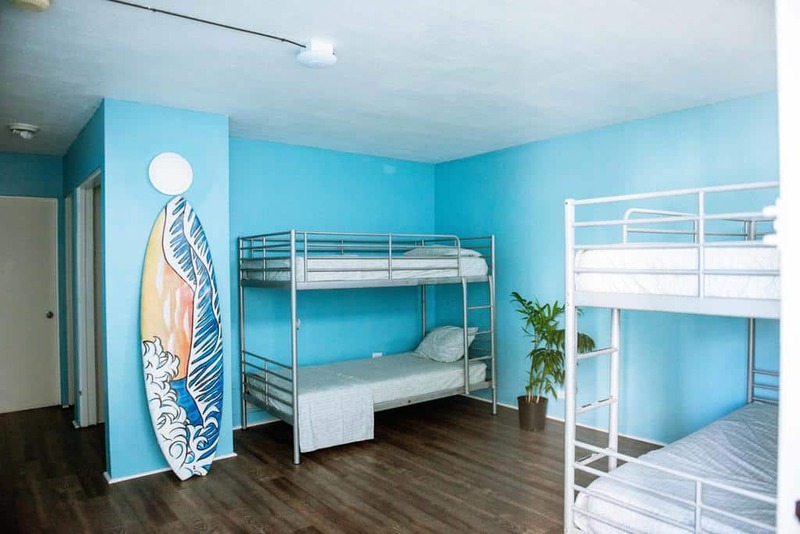 Hey, thanks for the mention of our hostel in your blog post. We have shared it on our social media. It looks like you are providing some great info here. Keep up the good work. It’s great to have blog partners and the chance to support each other. Thanks again! Aloha! You’re very welcome, yes, you can absolutely share your blog link. Thanks for the support and hopefully we’ll see you around, we just arrived on the North Shore for a couple months yesterday. Cheers! What a fantastic site. I have a 16 year old who dreams of visiting to see the pro surfers so just in the early stages of trip planning around school times. Let us know if any questions come up and happy planning!